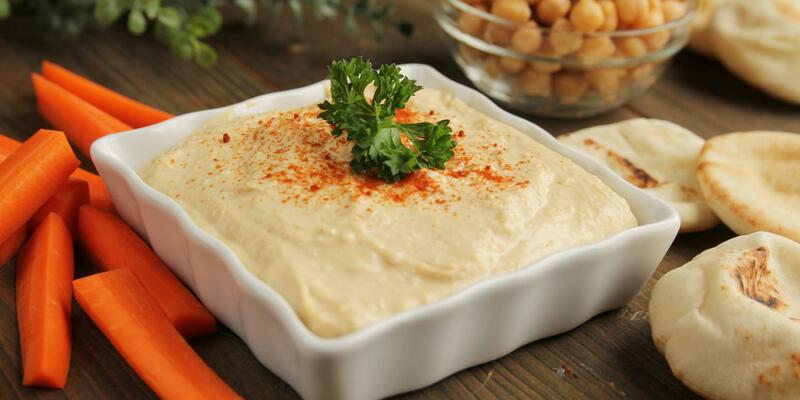 In a blender or food processor, place chick peas, garlic, tahini, broth or water, lemon juice, and oil. Blend on high speed until mixture is smooth. Add salt, pepper, and hot pepper sauce to taste, if desired. Pour mixture into serving bowl. Dust lightly with paprika. Serve with cut-up raw vegetables and pita bread or gluten-free crackers.